Ford of Europe CEO Stephen Odell said the EU's free-trade agreement with South Korea is ''damaging'' for Europe's auto industry. Odell said that eliminating auto tariffs into the EU for exporting nations, with little or no export potential for the EU in return, would seriously undermine auto manufacturing in Europe. "The EU-South Korea free trade agreement is damaging for the EU automotive industry. It gives improved market access for Korean manufacturers in Europe, while export opportunities for European-based manufacturers are likely to remain strictly limited in South Korea," Odell said. He added: "In fact, we're already hearing some disconcerting rumors from Korea concerning the strengthening rather than the weakening on non-tariff trade barriers." Odell was speaking at a conference held by the Society of Motor Manufacturers and Traders in London on Tuesday. South Korean lawmakers passed the free-trade agreement with the EU in May, clearing the last hurdle for the world's second-biggest trade deal to come into effect in July. The deal is eclipsed only by the 1994 North American Free Trade Agreement between the U.S., Canada and Mexico. Ford is among automakers, including Fiat S.p.A. and PSA/Peugeot-Citroen SA that fear the agreement could flood Europe with cheap Korean-built cars. Cars are South Korea's most important export product with 2 million of the country's annual 3 million production exported, according to ACEA, the European automakers association. South Korean-built cars control more than 95 percent of the Korean market. "South Korea has the lowest level of import penetration of any developed country," according to ACEA. The opening of EU-Japan FTA discussions should not go ahead until the issue of non-tariff barriers to trade had been fully addressed by the Japanese, Odell said. He also said that European carmakers needed improved efficiencies and more competitive business practices to ensure that the industry could compete on a global level and ''play to its strengths." "Overcapacity was a major problem before 2008, and has only been exacerbated since the onset of recession. In the United States, the industry has undergone a brutal reckoning in recent years, and has come through leaner, more efficient, and stronger. In Europe, nations went their own way,'' he said. 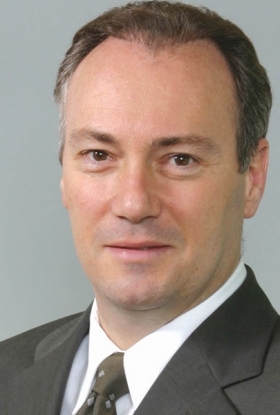 Ford's Odell says overcapacity is a problem in Europe. He added that Europe could play a strong role in future global car manufacturing if there was an effective EU policy framework to support the auto industry. "Sadly, we are seeing an increasingly industry-skeptical political environment at the European level, with rising costs of what is often marginal and unnecessary regulation, unbalanced trade agreements, and anti-car European Commission strategy papers on the future of transportation," Odell said. The executive pointed out that the auto industry is one of the world's great growth industries. "By 2020, it's estimated the annual global vehicle market will be around 90 million vehicles. That's 90 million vehicles that have to be designed, engineered and built somewhere in the world. Why not here in Britain and Europe as whole?'' he said. Across the EU, the auto industry accounts for 10 per cent of all manufacturing by output, and 35 per cent by employment. It provides direct employment for 2.3 million people, and a further 10.4 million indirect jobs, Odell said. "We need an effective EU-wide industrial policy: not just for the auto industry, but for manufacturing industry as a whole." he added. Ford plans to invest 1.5 billion pounds ($2.4 billion) in U.K. operations over the next five years, Odell said. 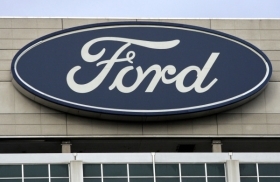 More than half of the funds will come from Ford, with EU grants and a 340 million-pound guarantee from the U.K. making up the balance, Odell said, adding that Ford plans to create several hundred jobs in Europe this year.